Every year, the average American spends about $7,300 on medical expenses. The typical Canadian pays $2,700, the Briton only $2,000. And yet, according to the World Health Organization, our healthcare system, in terms of total quality, ranks thirty-eighth in the world, right between Costa Rica and Slovenia. Not only do 40 million Americans lack health insurance, but more than 200,000 die each year because of medical mistakes. Our average life expectancy is lower than Cuba's. 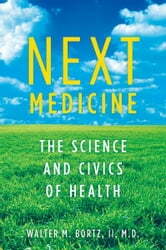 In Next Medicine, Dr. Walter Bortz zeroes in on why the American medicine is spiraling toward disaster. A physician with fifty years of experience and a leading authority on aging, Bortz argues that the financial interests of biotech and drug companies have distorted the healthcare system. Thanks to them, medicine today is economically motivated to treat disease rather than to prevent it. Heart disease, for example, is widely treated with drug interventions and invasive surgery--both of which are extravagantly profitable for pharmaceutical giants and hospitals. Daily exercise and a healthy diet, on the other hand, can prevent heart disease, and can be obtained by patients essentially for free--but there's no money in that. The medical-industrial complex has a vested interest in keeping us sick, and until that changes medicine will fail to effectively address the leading cause of disability and mortality today: chronic diseases like diabetes that are largely preventable. Bortz proposes a medical system that emphasizes personal responsibility and provides incentives for healthy lifestyle choices, along with new training for medical professionals. 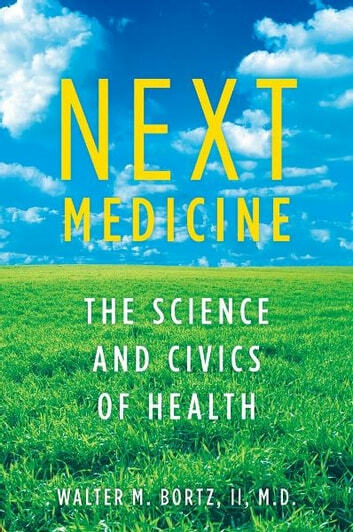 Through a lively narrative full of personal anecdotes and jarring statistics, Bortz makes a powerful case for a radically new medical system--one that is based on rigorous science and loosens the strangle hold of corporate interests on American health.